I am developing a bit of an interest in the wines of Barolo. This cannot be viewed as anything other than unfortunate development for my bank balance! 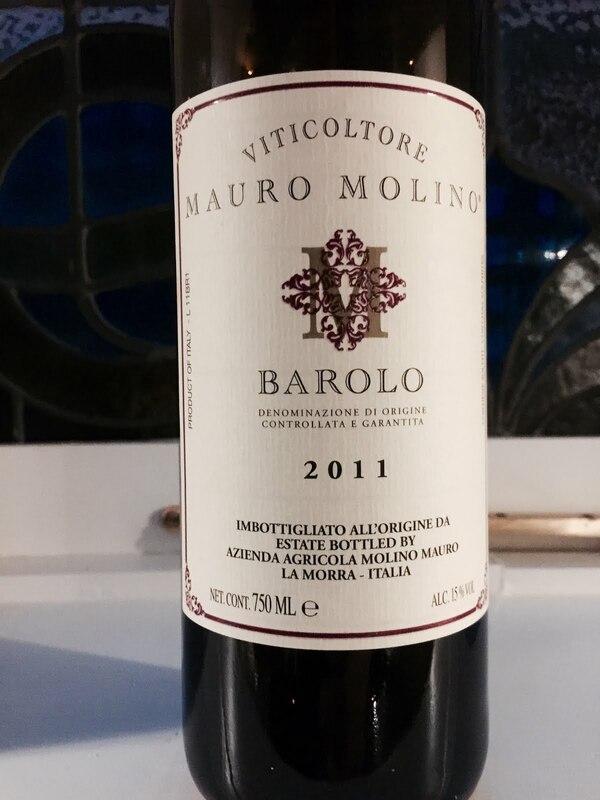 I dutifully looked up this producer – Mauro Molino – in my newly purchased Barolo and Barbaresco reference book, The King and Queen of Italian Wine by Kerin O’Keefe (2014, University of California Press) to read a bit more, but if it’s covered it was not obvious. Their website shows that five different Barolos are produced here, this wine being their “Barolo” without further vineyard specification or adornment. The wine itself? Aromatics of tar, bitumen and perhaps a little chocolate too. It benefits, as most Barolos seem to, from time in the glass and I therefore recommend decanting. Firm acidity on the palate and mouth puckering tannins, this is a structured Barolo with a mid length finish and a good future ahead of it in the cellar.